Since the opening of the second phase of the cable car to the 4’200m high Mt. Apharwat in 2006 avalanche danger has always been a concern for backcountry skiing program operators, the gondola management and individual travelers. The snowpack and the complex terrain have presented regular challenges to us and our guides over the past years but the winter of 2013/2014 was by far the most difficult to manage. Whereas we always have been confronted with so-called “depth hoar” in the snowpack till early February this winter the depth of this dangerous ground layer was much higher than in previous years (up to 40cm) and the hard frozen ice grains were much larger than in previous years (5 to 10mm), and they also converted from round to square-shaped facets and cup-shaped forms which further increased instability. In other words the situation was much more critical than in previous winters and remained so unfortunately for most of the season. For us as operators of guided backcountry skiing programs this meant an increased focus on responsible terrain management, safe route finding and proper group management. The change in the person in charge of the local avalanche forecasting service added another unknown element that we had to familiarize ourselves with in order to properly understand his danger assessment philosophy. As a rule findings of snow forecasting specialists should stick to certain norms that are identical all over the world and this is most probably also the case in most places but in Gulmarg there are a number of additional points which need to be properly assessed to define a justifiable danger level for the secured terrain. In Gulmarg the risk assessment must not only include the danger level of the snowpack but also the low or mostly even nonexistent guiding skills of persons proposing their “guiding” services and the high percentage of guests who are unfamiliar or ignorant of the potential dangers these mountains present (see above video). Skiers and “guides” therefore who are neither properly trained nor equipped for backcountry skiing or prepared for efficient and effective interventions in case of an avalanche incident! As a concrete indication of the avalanche danger levels in Gulmarg last winter here some statistical information. 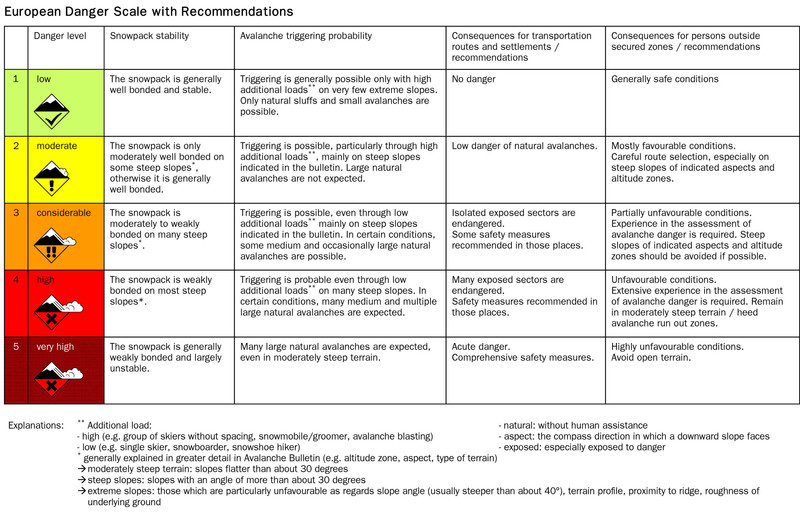 From end of December 2013 to mid-March 2014 a total of 64 avalanche bulletins were published, thereof 20% defined the danger level as high (level 4), 60% indicated a considerable danger level (level 3) and only 20% described the danger level as moderate (level 2). Over the years more than 100 people have been buried by avalanches in this part of the Himalaya mountain range, more than 20 of them unfortunately lost their life in this part of the world. 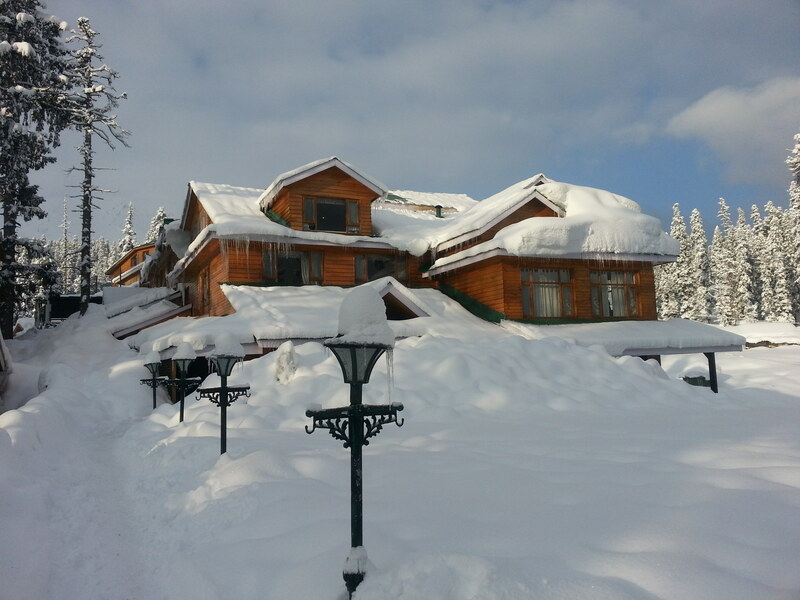 Regular heavy snowfall of 2 to 3 feet (60cm to 100cm) is normal in Gulmarg, however, last winter we had fewer days with snowfall but instead 4 major dumps of 5 to 10 feet (150cm to 300cm). This resulted in some challenges in operating our programs and for some guests the stay was not as expected or hoped. The first storm took place after January 20, 2014 and brought us the required amount of snow (6 feet, 180cm) needed to make skiing on the upper part of the mountain an enjoyable experience. The storm didn’t last long and phase 2 of the gondola remained closed only for 2 days due to high avalanche danger. The next storm hit us on February 3, 2014 and lasted for several days with daily fresh snowfall of several feet. The avalanche danger level remained high till February 8, 2014 which means phase 2 of the gondola remained closed for 6 days. Guests who were riding with us during that week never made it to the top of the mountain but instead enjoyed perfect conditions for tree skiing. The third snow storm was of a typical size for this part of the season and brought us about 3 feet of fresh powder (100cm). Phase 2 of the gondola still had to remain closed for 3 days due to high avalanche danger. The last storm started on March 8 and lasted again for several days. On the upper part of the mountain it brought us nearly 10 feet of fresh snow (300cm) and it was accompanied by strong winds. For the first time in my 9 seasons in Gulmarg the road to Tangmarg remained closed for one day and allowed only limited traffic for another couple of days. Access roads to Baba Reshi and also within Gulmarg were not cleared for several days. Many trees fell under the heavy load of fresh wet snow and wind impact. Phase 2 of the gondola remained closed for at least 10 days due to storm related technical failures. The chairlift was nearly fully buried under snow and was only shoveled free after several hours of joint work by the lift staff and tourists. 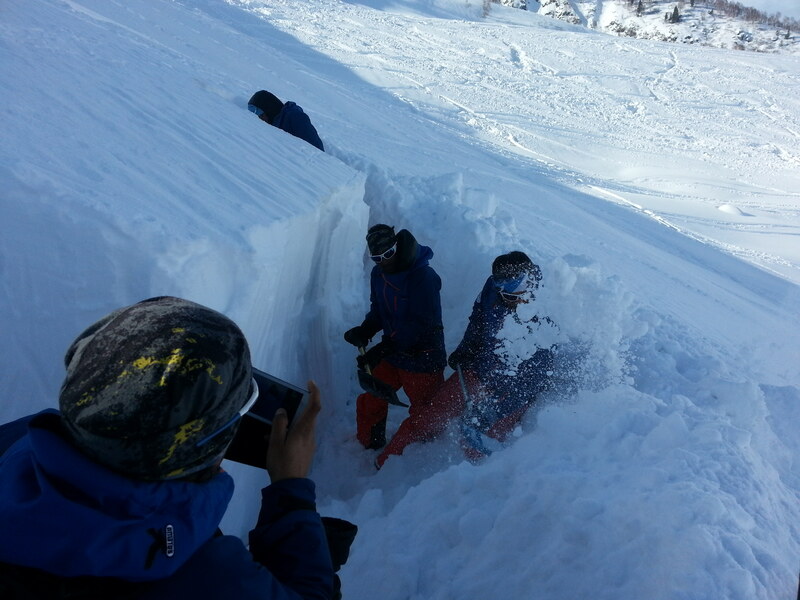 Avalanche danger remained high for several days. 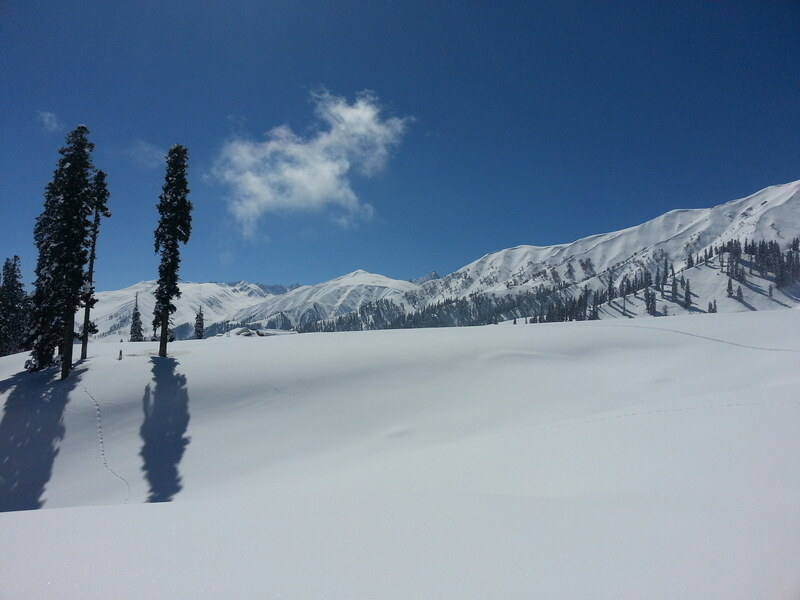 A Decrease in the Number of Visitors – Has Gulmarg lost its Appeal? Looking at the evolution in the number of visitors over the past years we could see a slow but constant growth of guests during the period 2006 to 2010 and then a massive increase in the winter 2011 which was probably the peak season since the opening of the cable car. However, already during the winter of 2012 there was a downwards trend which continued into the winter of 2013 and last winter we were back at the 2010 numbers. Travel advisories issued by various state departments advising against visits to Kashmir and feedback of guests who visited Kashmir in the winter 2013 during the protests after the Afzal Guru hanging certainly had an impact on the travel plans of the more fearful members of the skiing community. However, the security issue has been dramatized for many years and from my experience after operating for 9 seasons in Gulmarg is totally exaggerated. Of course visitors should observe a certain code of conduct and plan their trip by taking into account potential risks.More on safety and security you find in my blog on “Safety Considerations for Gulmarg Ski Trips” ! 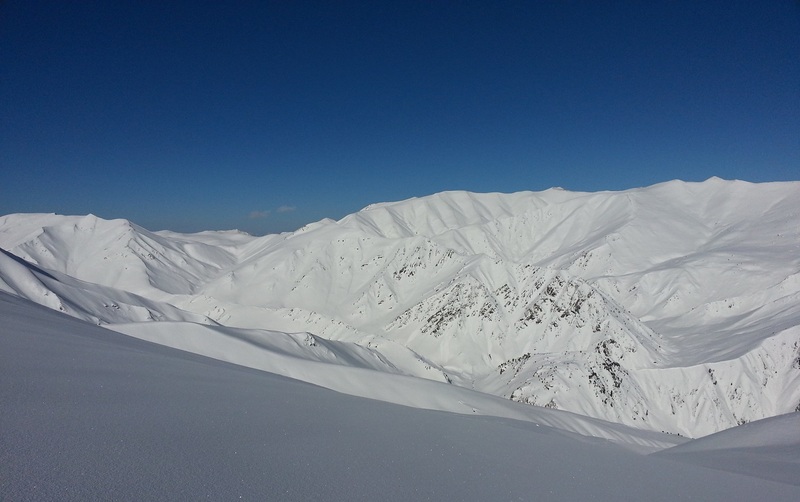 Another aspect driving guests away, at least from Europe, is certainly the coming up of new, cheap and easier to reach adventures ski resorts in Eastern Europe and Central Asia plus the newly rediscovered attractiveness of Japan as a powder ski destination. The biggest impact, however, is probably due to the price/performance ratio of Gulmarg. With the strong growth in the number of foreign winter tourists the various local market participants have taken an unhealthy approach in guest exploitation. Hotel prices have more than tripled, lift pass costs, salaries for guides and transport rates have also more than doubled since 2010 and reach nearly European levels while the quality of services delivered have more or less remained the same. Maybe the psychological price barrier has now been exceeded and interested visitors have found cheaper and better terrains elsewhere! Even though the avalanche and weather conditions were not as favorable as in previous years and the number of participants in our FSH powder ski programs were slightly below the average of past seasons we still had a great winter. Many enthusiastic skiers from all over the world joined us in Gulmarg and enjoyed numerous runs in untracked terrain and through the fantastic forests of Baba Reshi and Tangmarg with our professional guides. All our guests returned home with an unforgettable holiday experience of great skiing in exclusive surroundings and in an ambiance that exists nowhere else! Looking forward to the winter of 2015, our tenth season in Gulmarg, I am pleased to inform you that we will continue to run our well established FSH powder ski programs in the proven manner and that our guests will be taken care of by the same motivated team as in previous years.